Microsoft Dynamics AX software solutions for financial management give you a way to raise the visibility of financial metrics and increase the effectiveness of your financial management. With AX you can gain an insight into financial performance and plan strategically. You will be able to make informed decisions through the handling of revenue, payments, receipts, and cash flow. You can access real-time information across the organisation; Dynamics AX has easy-to use inquiry tools, plus powerful analysis and reporting capabilities. Throughout the course of a Microsoft Dynamics AX implementation, you may need advice on how to best utilize the software to meet your specific business needs. 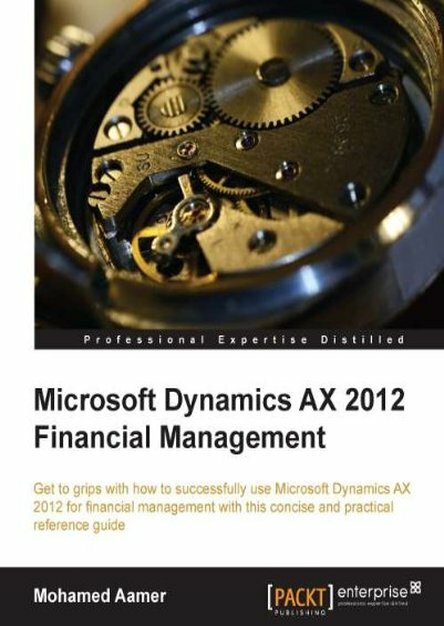 Microsoft Dynamics AX 2012 Financial Management is a complete solution to all of your implementation queries, and it shows you how to fully utilize Dynamics AX to suit your specific financial management needs. This book is a practical guide that aims to give you a comprehensive insight into financial management using Microsoft Dynamics AX. Throughout this book, you will find discussions of the functionality provided by Dynamics AX as well as basic setups, configurations, integration points, and controls. This book covers opening balances migration best practices, closing procedures, and bank reconciliation, which are common topics that arise during the implementation of any project. You will also learn about cash flow models and transactions, inventory costing models, the DAX costing mechanism, and financial dimension business values to ensure the accuracy of data entry and to monitor company performance through reporting and analysis.